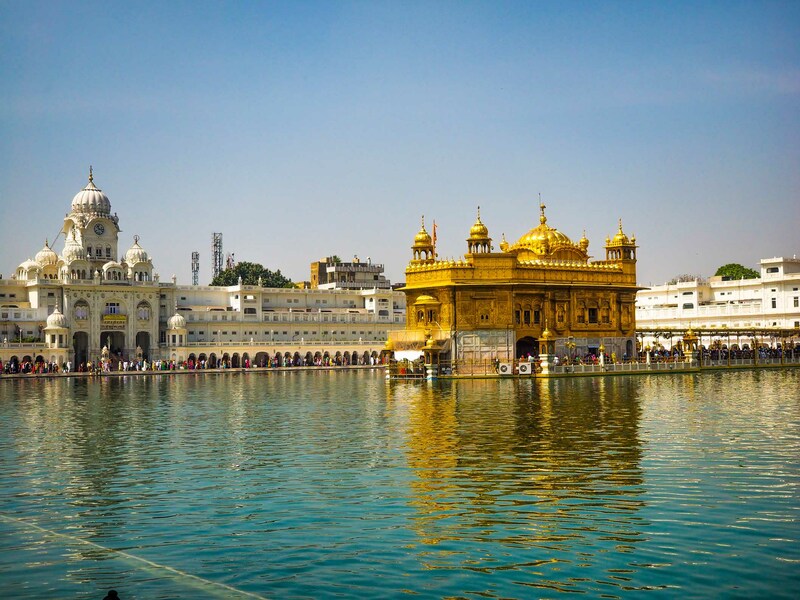 The city of Amritsar and its famous Golden Temple are not only one of the most underrated destinations in India, but they might be the most friendly and welcoming place in the whole country. A lot of people do compare visiting the Golden temple to visiting the Taj Mahal, and I can personally say that it’s equally spectacular, maybe even more. 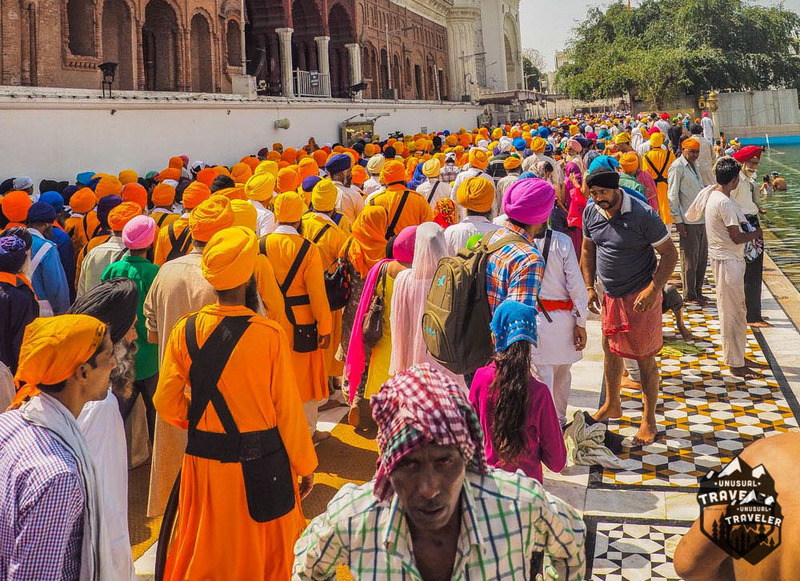 The Golden Temple actually attracts more daily visitors than Taj Mahal, but the majority of visitors here being Sikh pilgrims. Are you planning to visit India, but not sure what to pack? Check out this post. 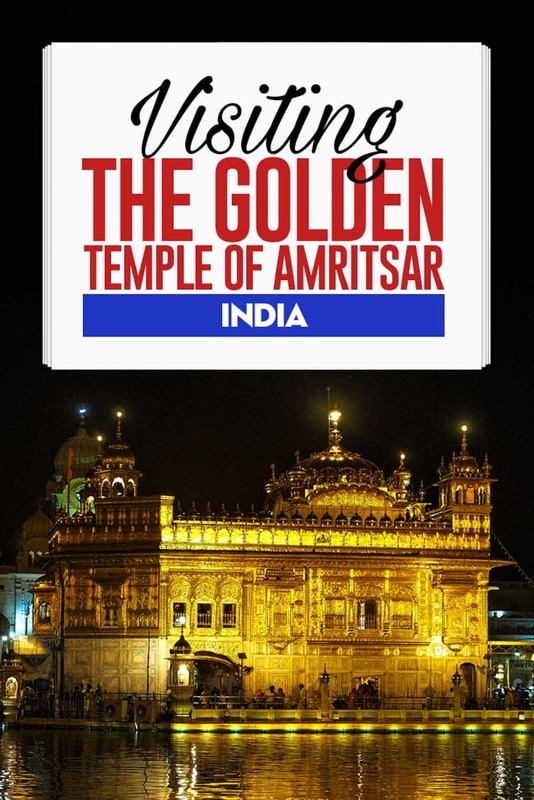 The Golden Temple of Amristar. 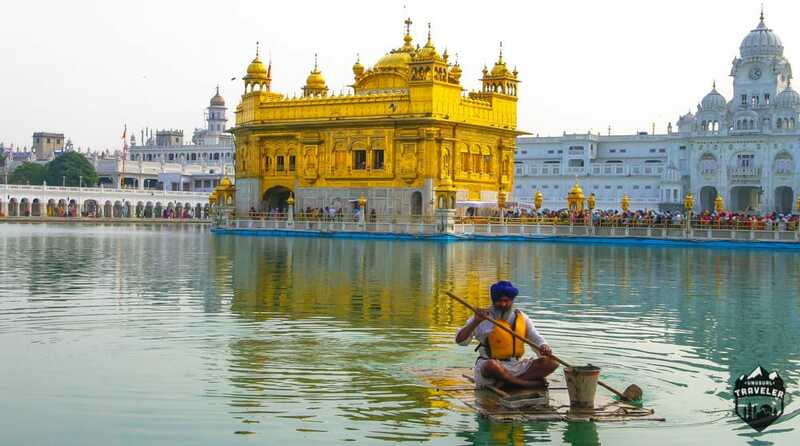 The Golden Temple in Amritsar is the holiest of all Gurdwara (Temple), it is to Sikhs what Mecca is to Muslims, Jerusalem is to Christians and Lumbini is to Buddhists. One is never wounded by the love one gives, only by the love one expects. Thanks to the new all aircon express trains, you can now easily visit Amritsar as a day trip from Delhi. But if you have time, it’s definitely worth spending a few days in the city exploring the temple, the busy bazaars surrounding the complex and even do an afternoon trip to the famous India–Pakistan border closing ceremony (the famous Wagah Border ceremony). 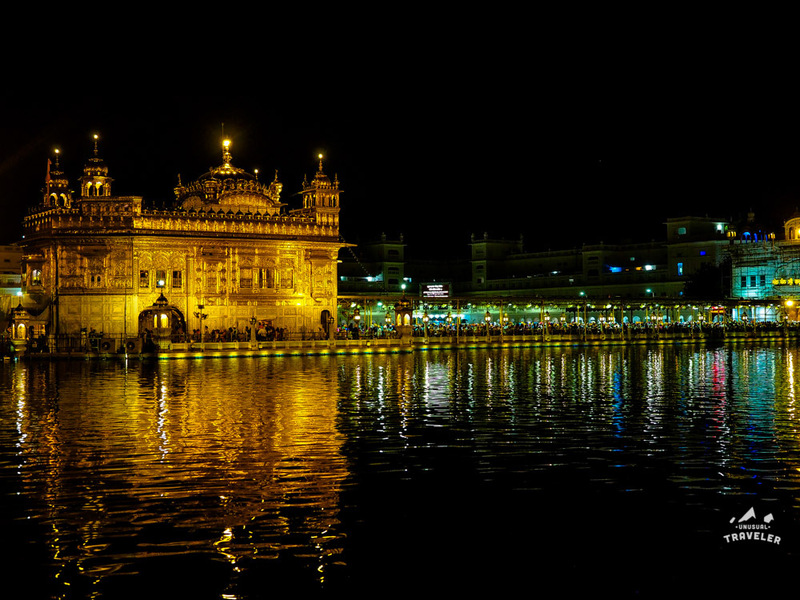 The Golden Temple was completed in 1604 during the leadership of the fifth Guru Arjan, but it was not before the early nineteenth century that the Gurdwara was covered with gold which gives it its distinctive appearance and its English name, “The Golden Temple”. 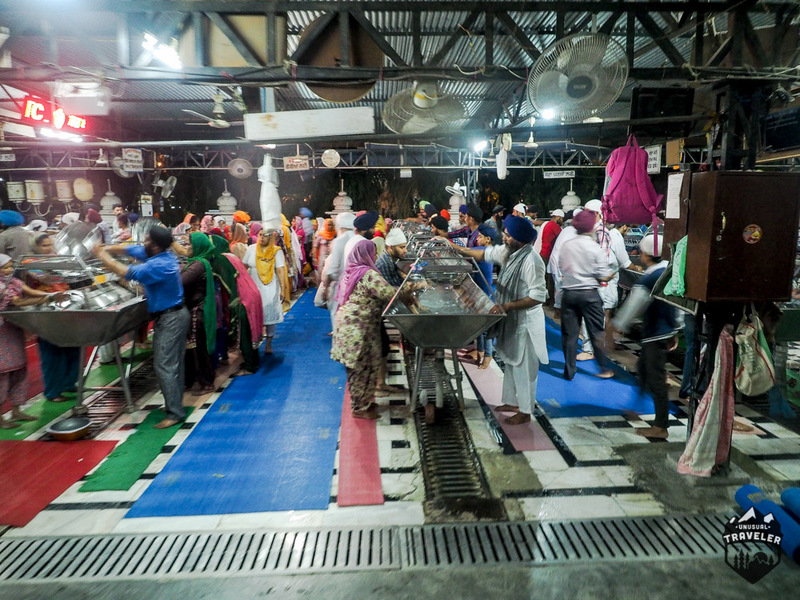 The Gurdwara is now visited by more than 100.000 worshipers daily. Two Sikhs are having a dip in the holy lake while a third one is getting ready for his dip. 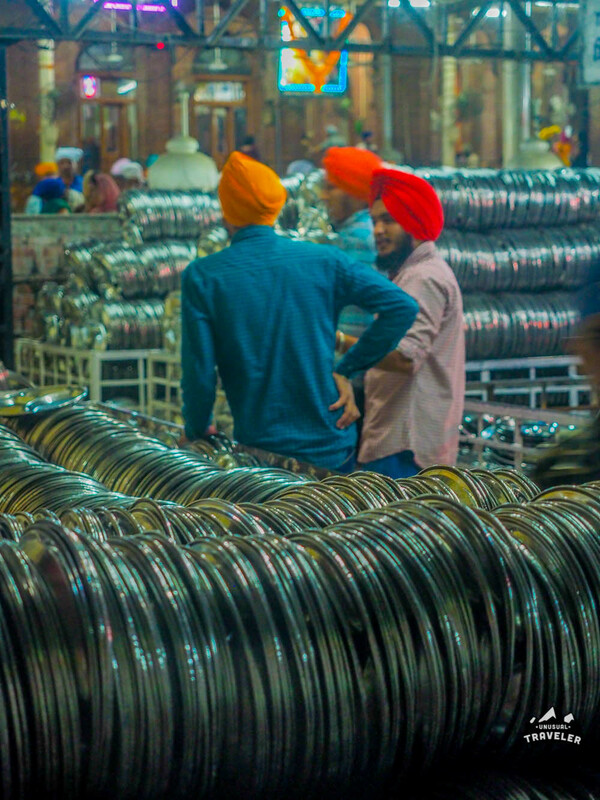 A sea of turbans during the weekend. The complex is open 24/7, but the temple is closed during the night. Note that it is worth visiting the complex at least twice: once during the day, once at night, when it’s beautifully lit up. The Golden Temple in the evening when it’s lighted up. Also, the locals are enjoying the view of the temple during the night. 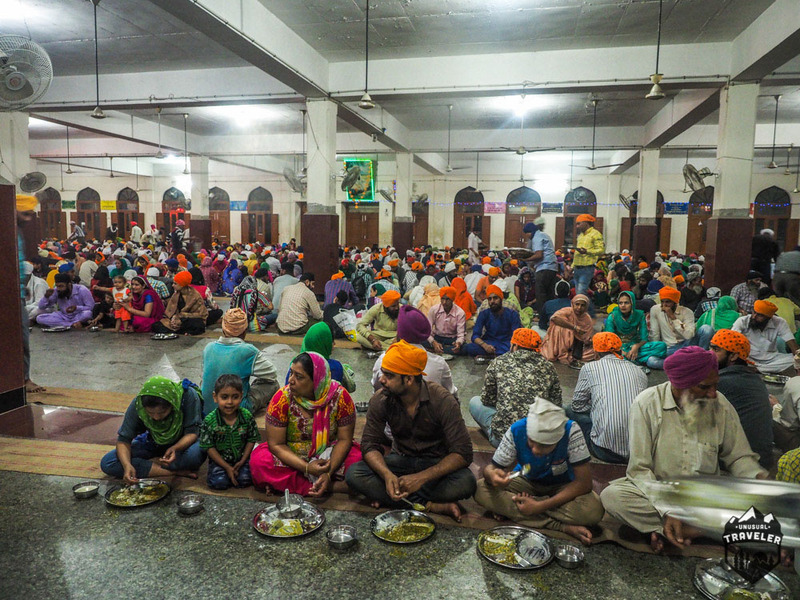 A particular thing about the Sikhs Gurdwara is there is a “Langar”; a common kitchen where food is served to all the visitors (without distinction of religion, gender, race or social status), for free. 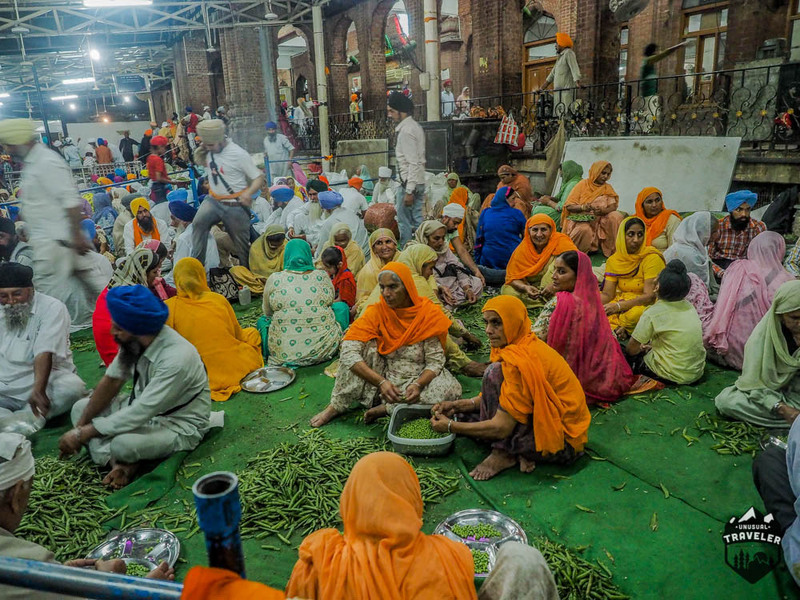 The idea of the Langar is believed to have been started by the first Sikh Guru. His idea and philosophy were simple but radically different from the normal customs back in the 15th century. According to him, a place should exist where everyone, regardless of religion or social status, could sit on the ground together as equals and eat the same food. 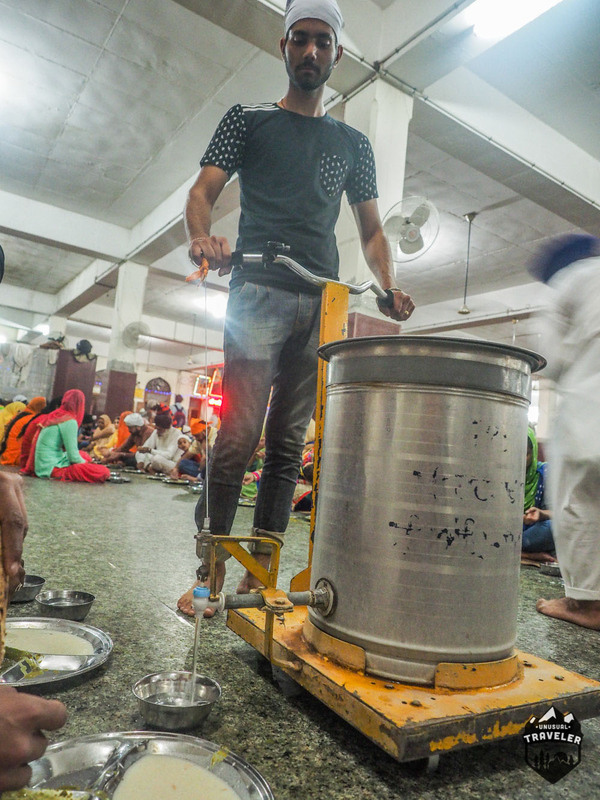 The “Langar” found in the Golden temple is the largest free kitchen on the planet, the kitchen serves more than 100,000 visitors on a normal day, and swelling up to 150,000 visitors on weekends. The food never runs out, and no one has ever been turned away. 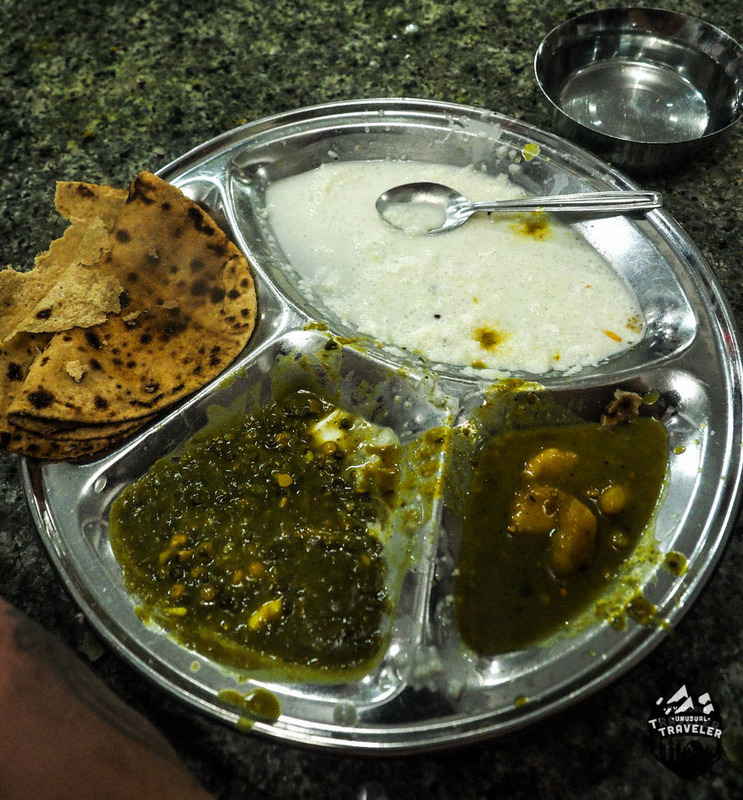 A plate of the food you get served in the Langar. Delicious. 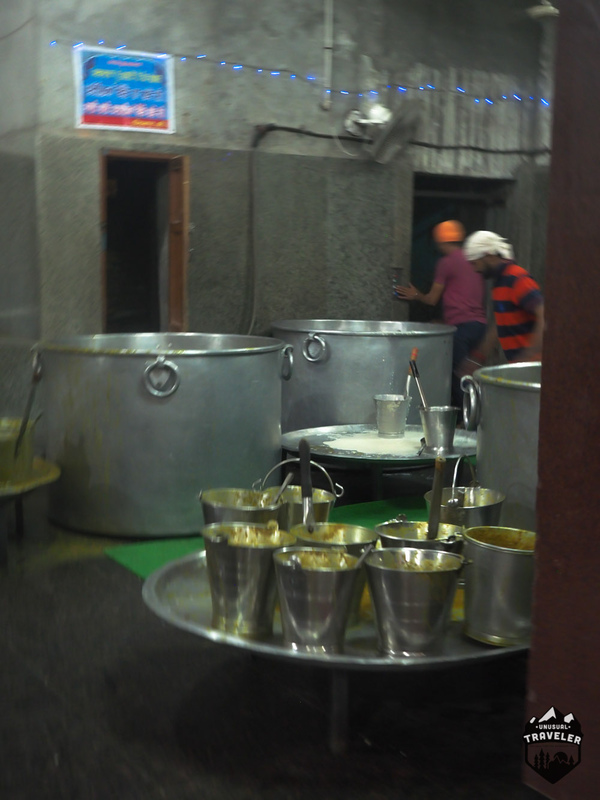 The kitchen is run by 450 staff, helped by hundreds of volunteers. 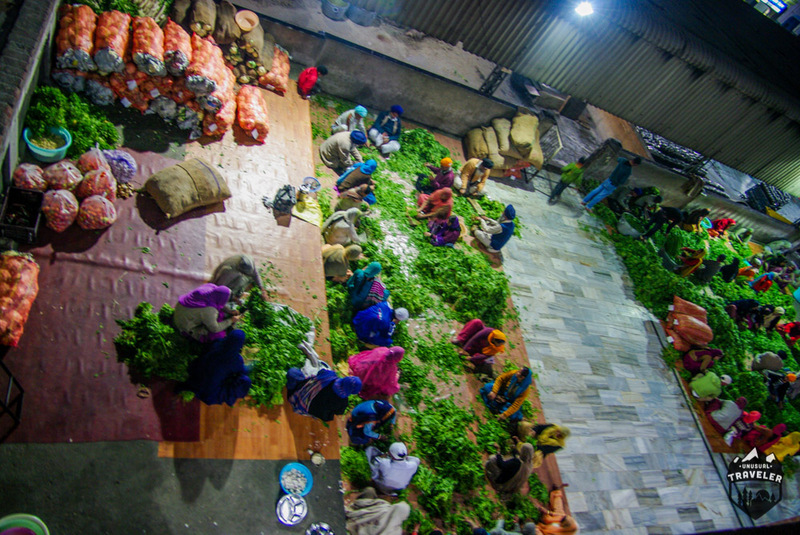 The kitchen is open 24/7 and on a normal day, they use an astonishing amount of raw food: 12,000 kilos of flour, 1,500 kilos of rice, 13,000 kilos of lentils, and up to 2,000 kilos of vegetables. More than 200,000 roti (Indian flatbread) is made in the kitchen every single day. 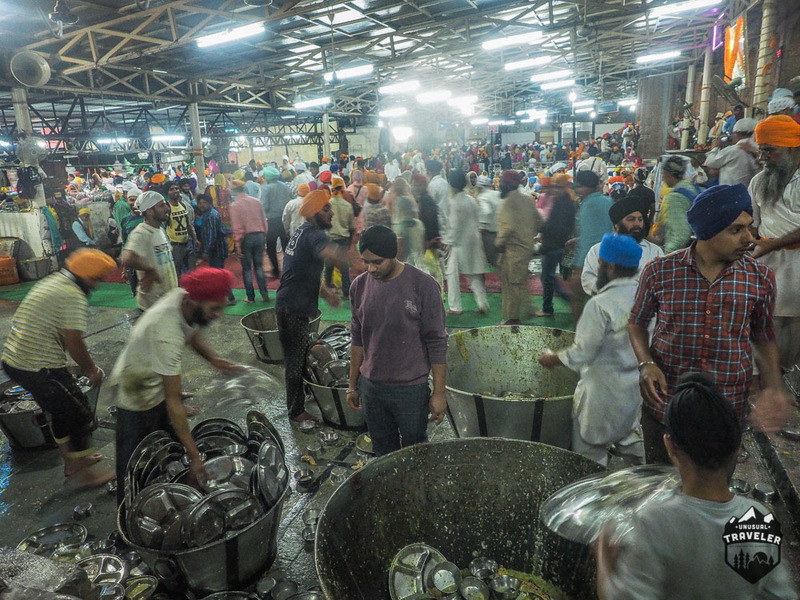 Volunteers also wash the 300,000 plates, spoons, and bowls used to feed the people. The food is all vegetarian and the expenses are managed through donations from all over the world. 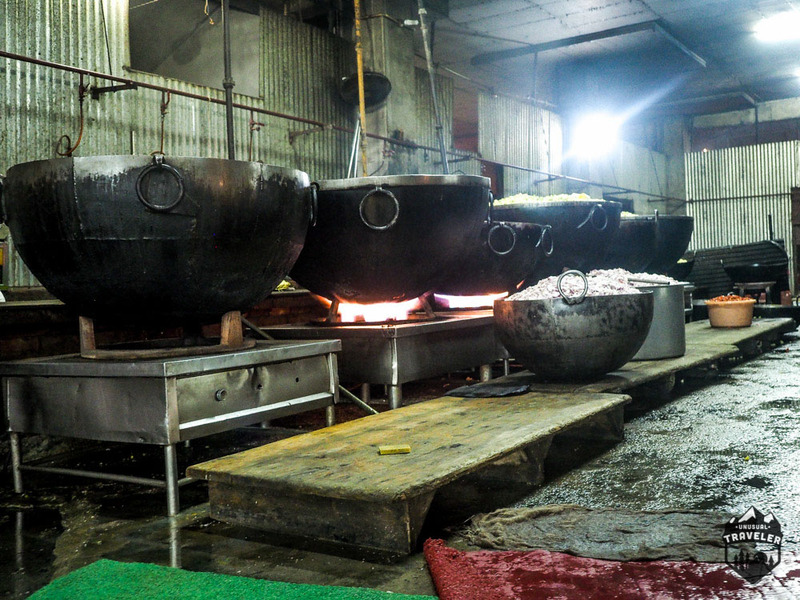 Pots on almost the size as the people working in the kitchen. Always time for a rest, when your cleaning thousands of plates. Additional Information about The Golden Temple. Remember to stay quiet and respectful while visiting the Golden Temple, keeping in mind that this is a holy place of pilgrimage more than a tourist attraction. Both the Complex and the temple are 100% free! 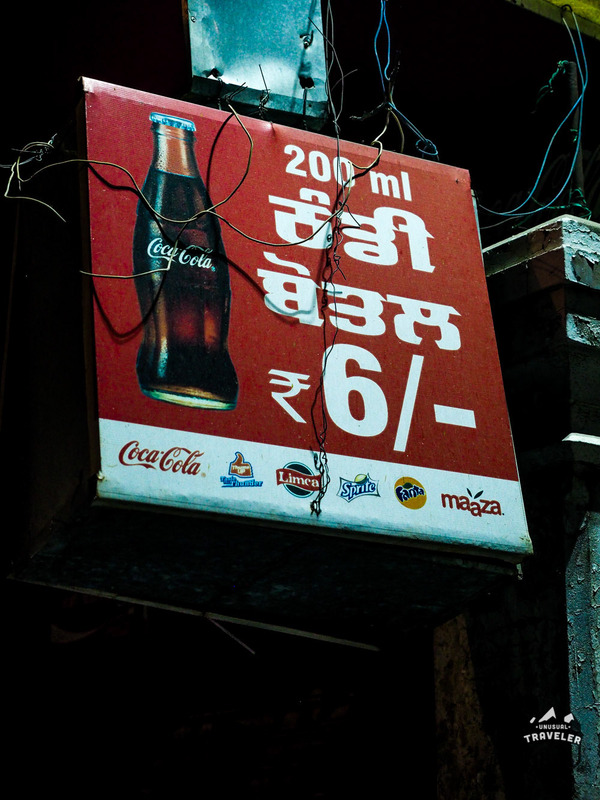 The Golden Temple is located about 2 KM from the train station, and a rickshaw should cost around 30 RS, but then again if you’re a foreigner expect to pay 100 Rs. You will need to cover your head when entering the complex; everyone has to! You will be hassled by people trying to sell you Bandanas/head scarfs outside the complex, but there´s no need to buy it since scarfs are provided for free at every entrance. You’re not allowed to wear shoes inside the complex either; there are free official stalls to leave your shoes outside. There´s a “free” dorm accommodation for pilgrims and tourist in the complex, but it’s VERY basic and simple. Even that dorm is “free” are you expected to give donations for your stay there. There are also some very good value hotels with a panoramic view of the complex, that’s a much better stay than the “free” dormitory. I and my travel buddy had a brand new room with aircon, fridge and panoramic view of the Golden Temple from our window for about 10usd. Like it? Share it! Pin it! 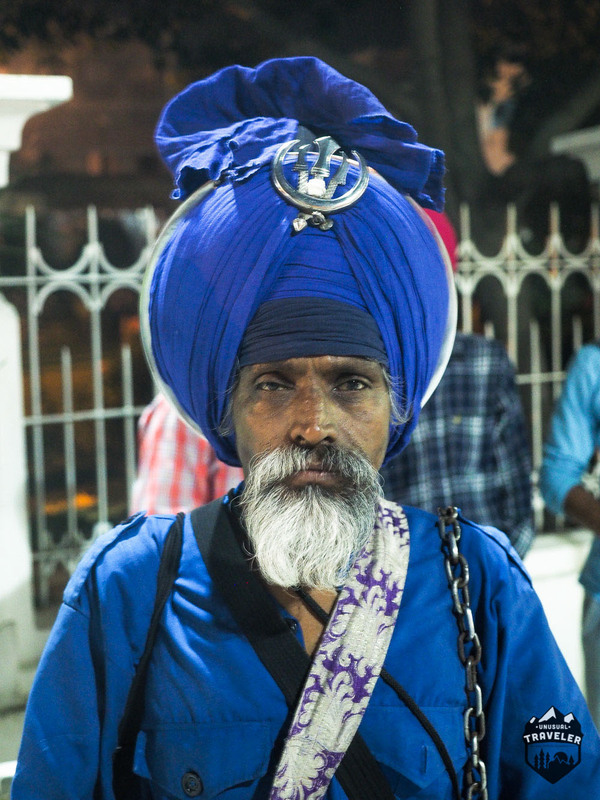 It was my first time in India, when I visited Amritsar. It is a refreshing change of pace and attitude in comparison to Delhi, Agra, etc! 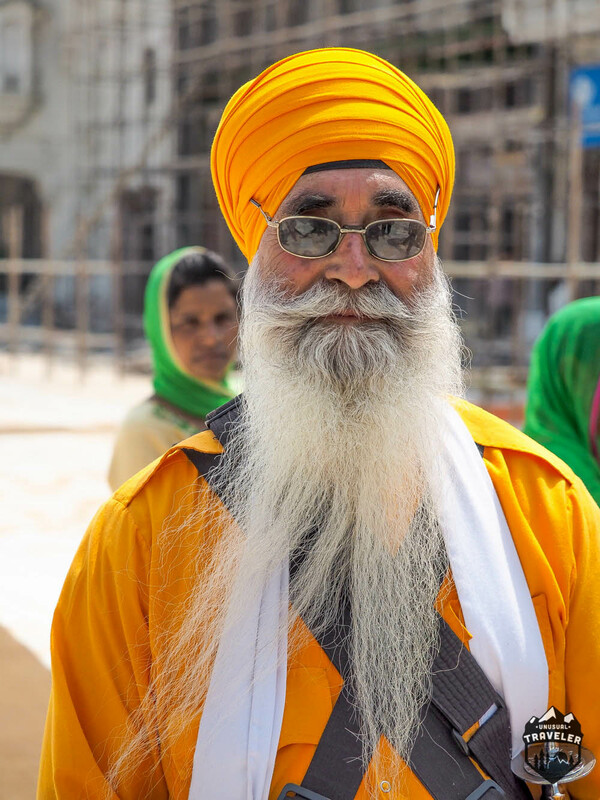 Walking into the temple-complex and being greeted by Sikh’s who didn’t really care about your fath, status or money – but are just proud of their temple and customs – gives your soul the “rest” it needs after being in India for a while. Totally agree that this is one of the most underrated places in india! The border ceremony was also an experience in itself!